Some users are reporting being unable to visit certain websites from their web browser. Most often, the error that comes up is “Error Code 15: This request was blocked by the security rules“. This error means that the request browser is trying to initiate (i.e accessing the site) is denied by the security rules in place. The issue is not browser specific (it occurs with all the popular browsers including Chrome, Edge, Firefox and Opera) and is confirmed to occur on all the latest Windows versions (Windows 7, Windows 8.1 and Windows 10. What causes the ‘Error code 15 – This request was blocked by the security rules’ error? Date & time is incorrect – This issue can be encountered if the webs server conditions the access to correct time & date settings. Several affected users have reported that the issue was no longer occurring after they modified to the correct date via Control panel. Your IP range is geo-blocked – Is also possible that the particular web server that you’re trying to access has some predefined rules regarding the location of the visitor IP. In this case, using a VPN solution should allow you to circumvent the issue. 3rd party AV/firewall is preventing you from accessing the website – As several users have reported, this particular issue can also be caused by an overprotective security suite. Some users have reported that the site became accessible again after they disabled or uninstalled the 3rd party security suite. If you’re currently looking for a way to get around the “Error Code 15: This request was blocked by the security rules” error, this article will provide you with a collection of verified troubleshooting steps. Down below, you’ll discover several repair strategies that other users in a similar situation have successfully used to get to the bottom of the issue. If you want to be as efficient as possible, follow the methods below in the order that they are presented. You will eventually encounter a fix that is effective in your particular scenario. Let’s begin! There aren’t a lot of conditions that you (as a visitor) need to meet in order to be allowed access to most websites. Of course, this rules change from server to server, but one of the most common causes why users are prevented to access certain websites by the “Error Code 15: This request was blocked by the security rules” is because their date and time settings are incorrect. Press Windows key + R to open up a Run dialog box. 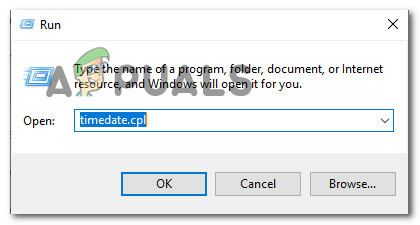 Then, type “timedate.cpl” and press Enter to open up the Date and Time panel. 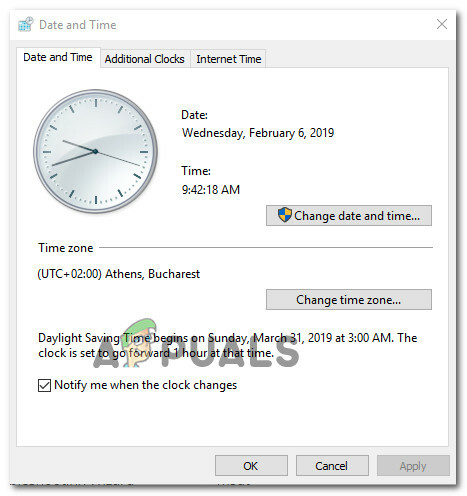 Inside the Date and Time window, go over to the Internet Time tab and click on Change settings. 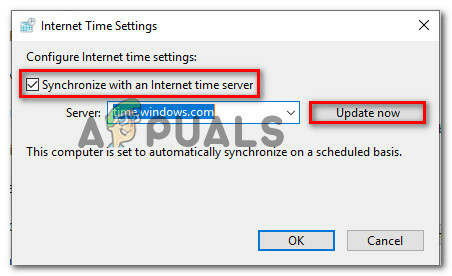 Inside the Internet Time settings, check the box associated with Synchronize with an Internet time server, set the Server to time.windows.com and click on Update now. 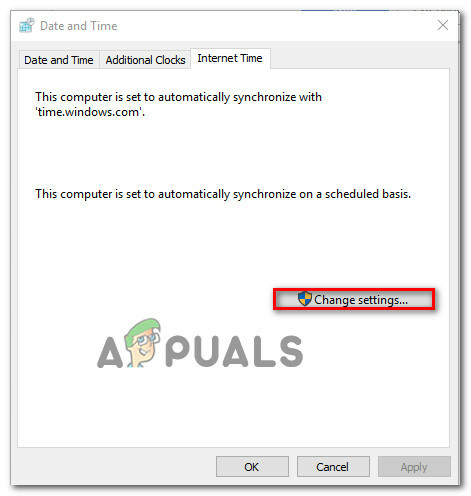 Move over to the Date and Time tab, click on Change time zone and make sure you’re using the correct one. Then, click on Change date and time and ensure that the date is selected properly. Restart your computer and see if the issue has been resolved and you are now able to access the website at the next startup. If you’re still encountering the “Error Code 15: This request was blocked by the security rules” error, move down to the next method below. In most cases, this particular error is encountered because the website administrator is using some kind of security application that actively blocks your IP range. This is most commonly done with Incapsula or a similar service. 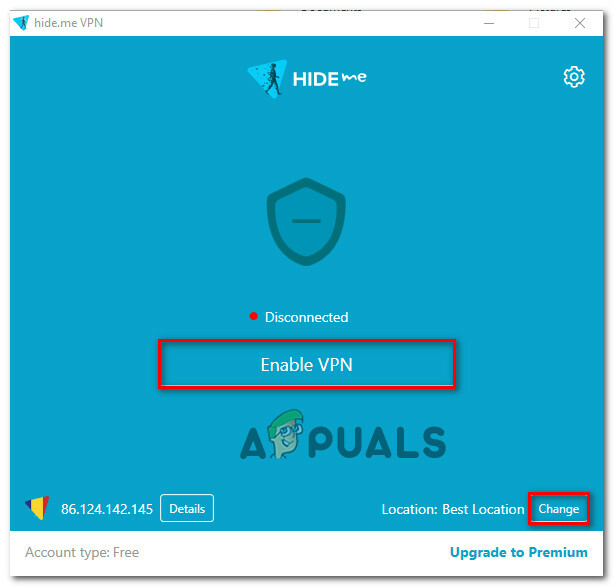 Several users that have been struggling with the same scenario have managed to circumvent the issue by using a VPN solution to conceal their real IP. This can be done with a number of different services (premium or free), but for the sake of keeping this guide accessible for everyone, we’re going to show you how to do this with a free VPN service. However, if you have the means, feel free to use any premium VPN service that you want. Visit this link (here) and click the Download Now button, then click on Register (under Free) to download the free version of Hide.me. Enter your email address in the next box to register. Make sure it’s a valid one because you will recieve a verification email. 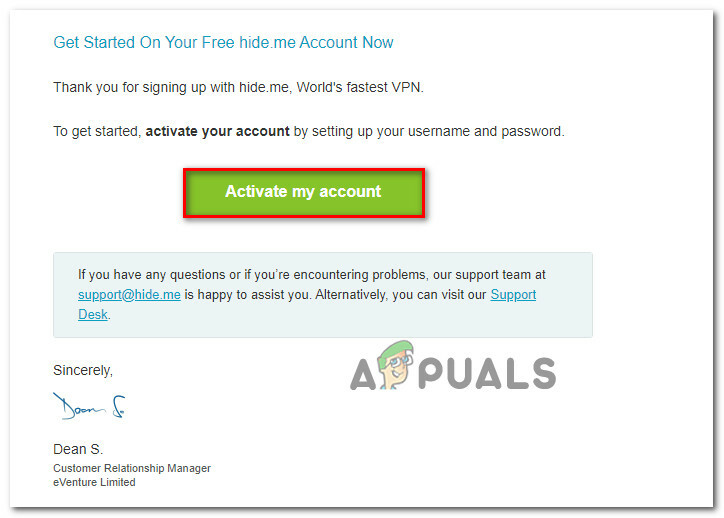 Navigate to the verification email and click on Activate my account to get started. From the next screen, choose a Username and a Password for your account and press Create account. Once you are signed into your account, go to Pricing > Free and click on Apply now. 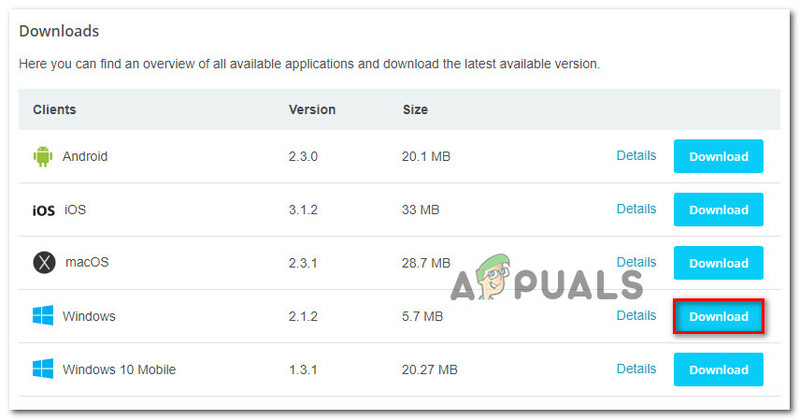 Next, move over to the Download clients tab and click on the Download button associated with your operating system. 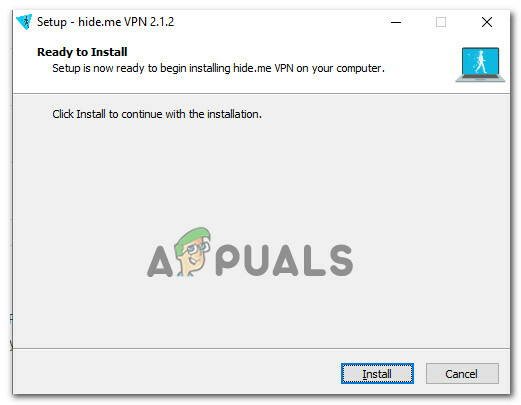 Once the download is complete, open the installation executable and install the Hide.me application. Then, follow the on-screen prompts to complete the installation. Once the installation is complete, sign in to your account and press Start your free trial. Click the Change button (bottom-right) corner to set the location that works for you. Then, simply click on Enable VPN to change your IP. Visit the site that was previously displaying the “Error Code 15: This request was blocked by the security rules” and see if the issue is now resolved. As some users have confirmed, this particular issue can also occur if you’re using an overprotective AV or firewall solution. Most of these 3-rd party security suites are now featuring a self-maintained list of blacklisted websites. But as you can imagine, some are more accurate than others. If the site you are trying to access was blacklisted by your external security solution, you might find yourself suddenly losing the ability to access the website. In this particular case, disabling your 3rd party security solution should help you determine whether your AV/firewall is causing the problem. However, with most firewalls, the same rules will remain firmly in place even if you end up disabling the client. In this case, uninstalling the client completely will help you figure out if the problem is caused internally or externally. You can follow this guide (here) to ensure that you remove your security solution completely.